It is almost 20 years since Britain handed control of Hong Kong back to China. 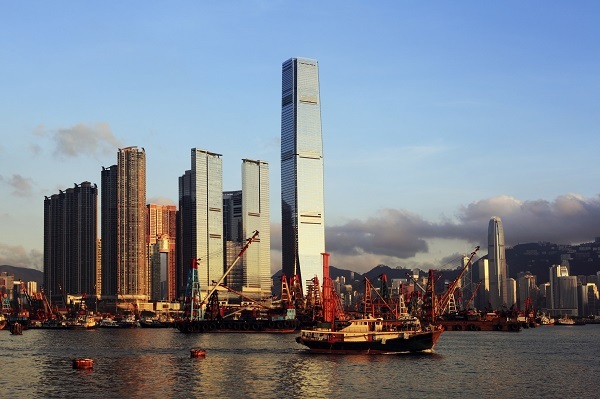 Since the ceremony – which started on the night of 30 June 1997 and finished the next day – the former British colony has become noted for the number of high rise buildings that dominate the skyline of both Hong Kong Island and the Kowloon Peninsula. These include the 490m-high Ritz Carlton Hotel, which when it opened in 2011 was the tallest hotel in the world and remains the highest building in this part of the South China Sea. Visitors who base themselves in this landmark building are well placed to sample the territory’s Asian culture while taking delight in discovering the hidden gems of Hong Kong. 1. 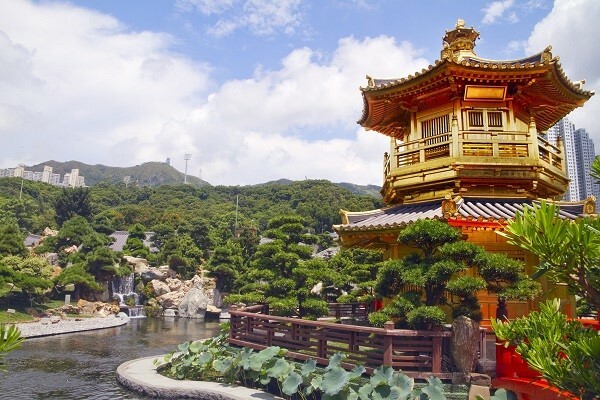 Zoological and Botanical Gardens – within the slopes of Victoria Peak and home to hundreds of animals – including flamingos, orang-utans and Chinese alligators – plus more than 1,000 different plant species. Golden Pavilion and Lotus Pond – Nan Lian Garden, Hong Kong. 2. Lightbulbs illuminate the market stalls which set up along Temple Street every evening. Have a browse through the ceramics, electronics and antiques spread out across the tables and if you are lucky buskers will often provide some free entertainment. 3. Keep Wednesday free for a culture fix, many of Hong Kong’s galleries and museums throw open their doors for free. Chinese paintings and ceramics are some of the highlights at the Hong Kong Museum of Art, while the Hong Kong Space Museum focuses on all things astronomy. 4. Hong Kong Tourism Board’s Cultural Kaleidoscope Programme gives visitors the chance to practise kung fu, learn about local architecture, or take a tea appreciation class. Most classes take place at the weekend and are also free. 5. Free variety shows and music recitals are frequently slotted into the busy schedule at the Hong Kong Cultural Centre, a stunning wave-shaped building close to Victoria Harbour. Tickets are handed out at the venue on a first-come, first-served basis. 6. The Ritz-Carlton might be the tallest building in Hong Kong, but it is said better views are on offer at the top of The Peak. At 554 metres, this is the highest point on Hong Kong Island and has been the city’s most exclusive neighbourhood since colonial times. The view is also what makes The Peak one of the most popular attractions in Hong Kong. On a clear day your eyes stretch across sparkling skyscrapers and Victoria Harbour all the way to the hills of the New Territories. You can reach The Peak via the city’s funicular railway, which has been running since 1888. 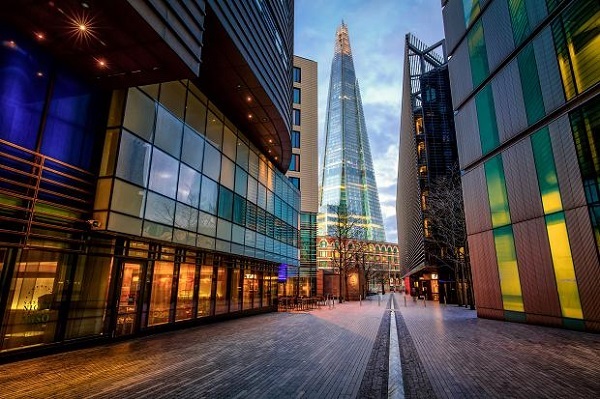 London, too, has its fair share of high rise attractions, street markets and some of the best museums in the world. Nine Elms has been dubbed Hong Kong-on-Thames due to the large number of high rise luxury developments being built in what will become the city’s new diplomatic district. This part of central London is in easy reach of the city’s world-class museums, which are free to visit every day. 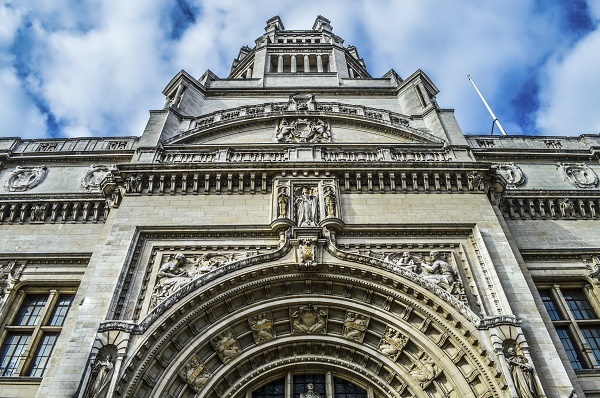 If you want to soak up some culture in London, head to the Victoria & Albert Museum. The world’s leading museum of art and design is currently staging an exhibition it calls Undressed: A Brief History of Underwear. Alternatively, the Science Museum has interactive exhibits of science and technology, while the Natural History Museum contains a vast range of specimens from various segments of natural history. The world famous dinosaur skeleton cast affectionately known as Dippy who has stood in the entrance hall since it was unveiled in 1905 will go on a touring holiday of the UK and will be replaced by the skeleton of a blue whale until he returns. 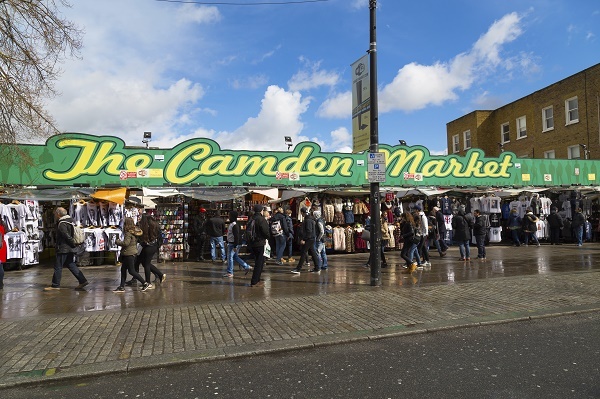 Camden Market, London’s most popular open air market, is actually three attractions in one. Stables Market, Camden Lock Market and Inverness Street Market are the places to go for alternative fashion, vintage clothing and emerging designers. At least part of the Camden Market complex is open every day of the year except Christmas Day and draws over 100,000 visitors every weekend. It’s easy to work up an appetite walking around the hundreds of stalls, so our tip is to book a table at Gilgamesh in Stables Market. This award-winning pan-Asian restaurant not only has a mouth watering menu, it serves a mean cocktail and then you can dance late into the night at the Gilgamesh Club. 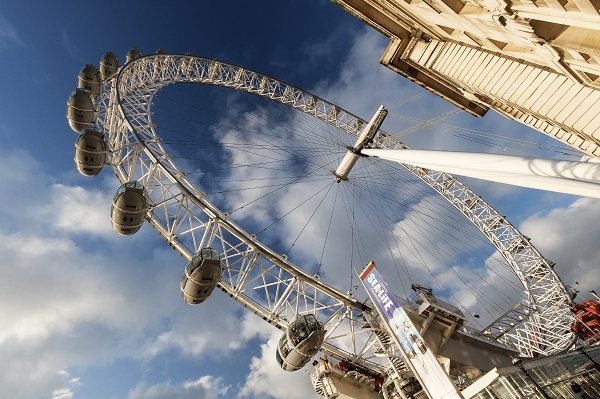 A unique view of London’s skyline is on offer on the Coca-Cola London Eye, which turns so slowly you hardly realise its moving. You can appreciate the vistas up and down the Thames, past the Houses of Parliament and Big Ben to your left or Canary Wharf and the City on your right. Alternatively, if your preference is speed head to The Shard. Here, lifts up to London’s highest viewing platform travel at up to 6m per second. On floors 68-72 and 244m above the city, The View from The Shard offers unobstructed 360-degree, 40-mile panoramas across the London skyline and beyond. Alternatively, combine your viewing experience with a meal at one of the landmark building’s three restaurants. Take your pick from contemporary British cuisine, modern European food with an Asian twist or diverse cuisines from Northern China. 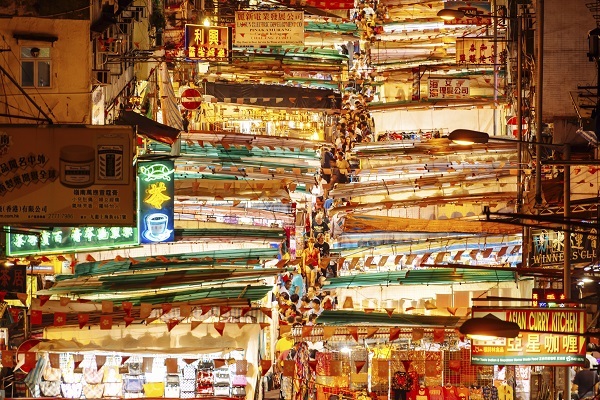 When it comes to skyscrapers and the variety of Asian cuisine on offer, Hong Kong has the beating of London. But it cannot match the UK capital’s cultural wealth, nor the 250 miles of track that make up the London Underground. For more information about opportunities to own or rent a luxury apartment in London, fill in the form on the right.